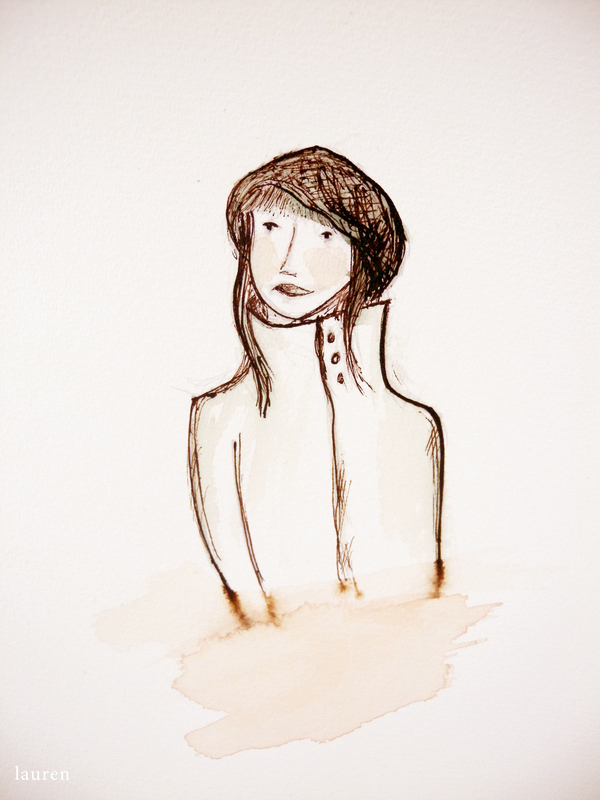 Lauren (or LooLoo as she’s also known) – Drawn December 2010. pen and ink on watercolour paper. My sister and I are both celebrating the year of the rabbit – and I’m so lucky to have her near by. We live in Nelson, BC one of the most beautiful mountain towns around. She is a creative animal as well and designs clothing (her label is called LooLoo) – check out some of her work here. LooLoo is part of the TheSisCrew collective, her clothing collection recycles and re-makes vintage clothing into new modern, fun dresses and skirts and accessories… Lauren is working on her LooLoo Spring Look Book, and lucky me gets to design some fabric for her new collection!! Exciting or what? !